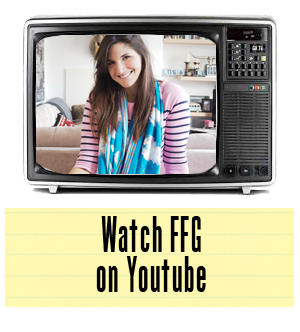 We interrupt the normal style broadcast to bring you a different sort of fashion statement. 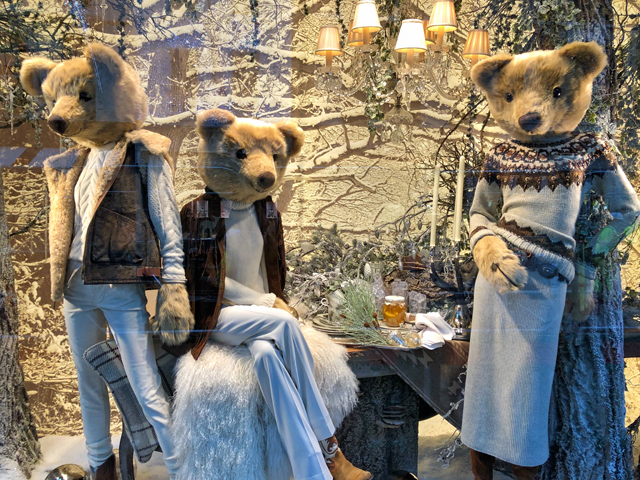 Ralph Lauren, this holiday season, are filling the population of London with some teddy bear cheer. 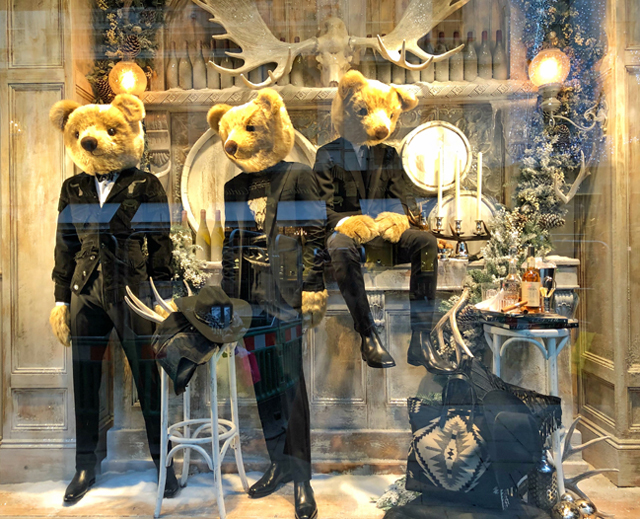 Yes, in the windows of the Ralph Lauren London Flagship store, you will find bears, dressed like bears have never dressed before. 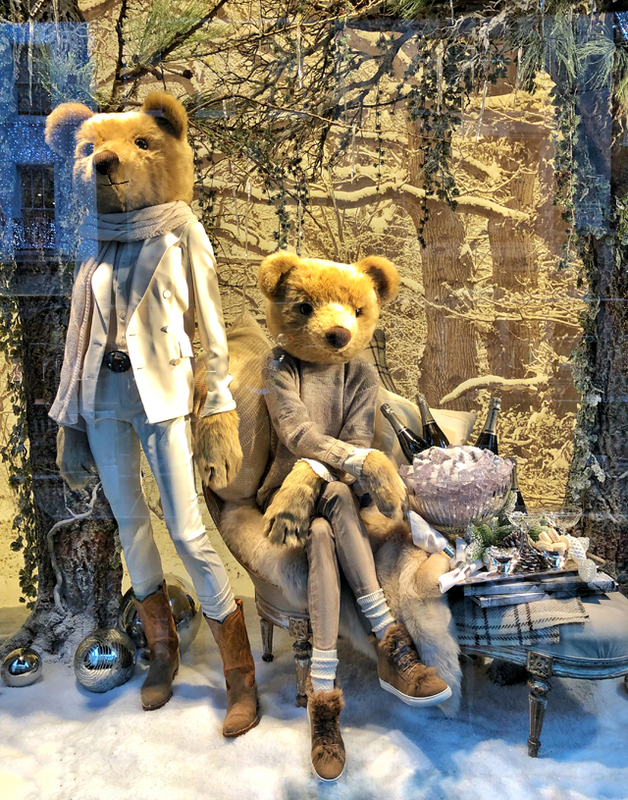 There's everything from bears wearing tuxedos to bears dressed in casual chic, complete with cowboy boots. And yes, it was entirely unexpected. As I passed the windows, my heart soared. Finally a fun take on the holiday season. I cannot get enough! It's light, it's furry, it's fabulous and it makes me want to buy even more Ralph Lauren... as if that were even possible! 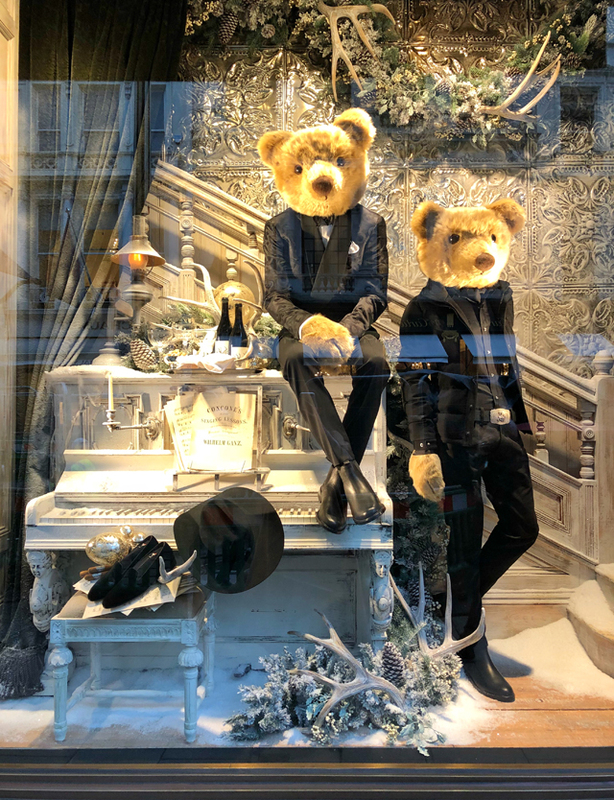 Get thee to New Bond Street immediately to have a look for yourself. These pictures don't do these fantastic windows justice, but I did try and had to share.